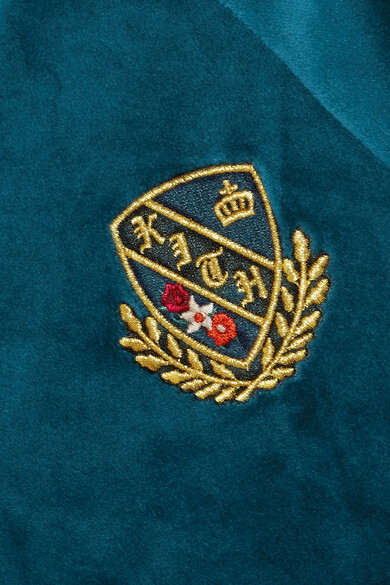 Kith's sweatshirt features the label's newly devised moniker embroidered on plush teal velour. Cut for a relaxed fit, it's inspired by track styles worn on college campuses. 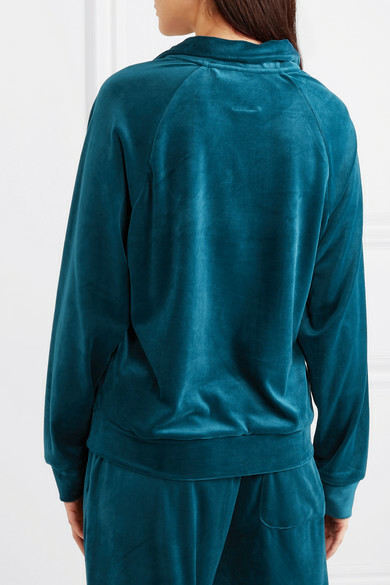 The chunky gold zipper offers different styling options - you could wear it down and layer a turtleneck underneath, for example. Outfit 1: Kith Pants, Balenciaga Tote, Unravel Project Sneakers. 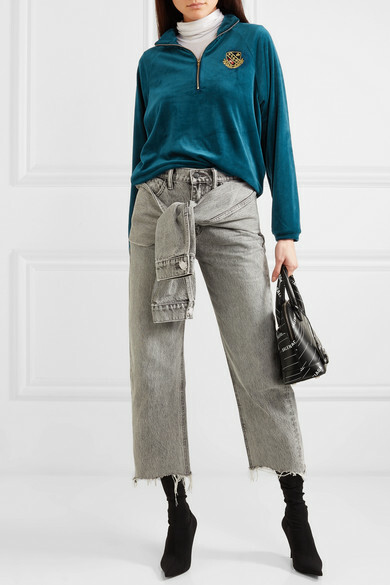 Outfit 2: Alexander Wang Jeans, Balenciaga Boots, Wolford Bodysuit.